This page is dedicated to all car related deals, discounts and voucher codes. 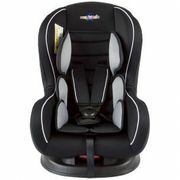 Whether you're looking for a cheap car seat for your kids, a discounted car battery of a car vacuum cleaner, you'll find it all here. Every day, our bargain hunters seek the best offers to help you save money. If you find a good deal, share it here. You may also be interested in cheap Sat Navs and dash cams. Sunydeal Car Jump Starter - £21.50 from Amazon! It's easy to get excited by accessories or extras when buying a new car. There are a few things to consider when choosing them as some will have little long-term value. New car dealers often offer a vast range of extras at the point of sale. Some will be genuine factory accessories - supplied, approved and guaranteed by the vehicle’s manufacturer. Others will be offered by the dealer. These have no connection with the vehicle manufacturer and won’t be covered by the vehicle’s warranty. Factory fitted options include things like the automatic transmission, ABS and airbags, and air conditioning as well. They offer safety and comfort benefits and add to a car's value. They usually can’t be added after the vehicle is built. While dealer fitted options are designed to be fitted after the vehicle has been built and can add to its resale value. Some may be genuine factory accessories while others may be aftermarket equipment. These includes bull bars, tow bars and other optional wheel packages. Will not be approved by the vehicle manufacturer. When buying accessories you should ask if they are genuine or non-genuine and what warranty applies to them. If you want to spruce up or enhance your car’s look with accessories but on a budget, you’ve come to the right place! Our massive team of bargain hunters are always on the lookout every day to find the best possible cheap car deals online. We have everything from cool car accessories and novelty car accessories to fun car accessories, car accessory gifts for her and car interior accessories girly style. Enjoy money saving deals and freebies from the latest voucher codes and discount codes of UK retailers such as Amazon, Tesco, Argos, eBay and more! So whether you’re looking for a cheap sat nav, dash cam, car seat, car MP3 player or car phone holder, you’ll surely find the best car accessories to fit your budget. Euro Car Parts. Euro Car Parts offers one of the biggest range of car accessories in the UK. Their range of vehicle accessories covers car care, car cleaning products, in-car and more. 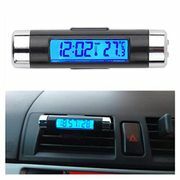 They have a range of the latest car accessories suitable for all makes and models. Find everything from cables to headlight bulbs. CarParts4Less. CarParts4Less is one of the largest online car and van retailers with cheap car parts for every make and model from leading high quality brands. Amazon. Discover a great selection of seat covers, mats and carpets, car air fresheners, and steering wheel covers at Amazon UK. Plus, get exclusive online discounts and free delivery if you’re an Amazon Prime member. eBay. Shop from one of the world’s largest selection and best deals for Car Parts. Shop with confidence on eBay. Their economic price allows for bulk quantity buying for total forecourt protection. Ideal for long stay car. Argos. If you’re looking for car accessories from roof racks to wheel trims, Argos got your car covered. Keep your car healthy from maintenance to security with their range of car equipment and accessories. Make the most of your vehicle by investing in one of the car accessories in this list. Parrot Minikit Smart Universal Bluetooth Car Kit, £55 at Amazon. An in-car mobile phone holder with built-in Bluetooth connectivity. 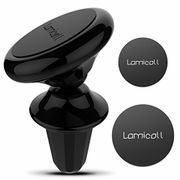 It affixes to your car's windscreen with a suction mount and then holds your phone in place with a spring-loaded clamp. TomTom GO LIVE 1005 5" Sat Nav with World Maps, £249.99 at Amazon. This all-singing, all-dancing satnav from TomTom is just the job if you like a few extra features to dabble with on your way from A to B.
Karcher Chassis Cleaner, £69.95 at Amazon. Through Through the winter months it's just as important to keep the underside of your car clean and safe from corrosive road salt as it is the paintwork. And for that job, it's hard to beat the Kärcher Chassis Cleaner. Halfords 12V Car Vacuum, £28.99 at Halfords. This little unit from Halfords might be at the cheaper end of the car vacuum market, but it's a great performer. It runs from your car's cigarette lighter socket (so no need to run an extension cord from your house) and includes three attachments to get into all those hard-to-reach places. Halfords Exodus Rear High Mount, £99.99 at Halfords. Capable of carrying up to three bikes (with a maximum load of 45kg), it is particularly useful if you regularly ride off road and don't want to get the interior of your car covered in mud. The modern automobile may only be getting smarter, but there are some simple gadgets that can make your driving a bit more convenient. Here are some of the must-have gadgets every car owner should get. Car charger. You can never really have enough ways to keep your smartphone kicking and a simple car charger like the Aukey CC-T6 for just £23.99 at Amazon should do the job. Bluetooth Car Kit. Those chargers are handy if you need to use your phone while driving — to do that safely, you should look into a Bluetooth car kit. Something like the iClever Himbox HB01 for £23.99 at Amazon is a cheap, convenient way to add Bluetooth functionality to your car. Mobile Phone Holder. A basic phone holder puts the phone where you can see it, making things just a little less stressful. Magnetic Mounts like the TechMatte MagGrip Air Vent for £7.99 at Amazon can do the work, it’s cheap yet not obstructive. Fobo Tire Plus. This is a set of Bluetooth-enabled sensors that measure tire pressure and temperature in real time, send that data back to your phone, and warn you of any forthcoming issues. Available at Amazon for £112.89.